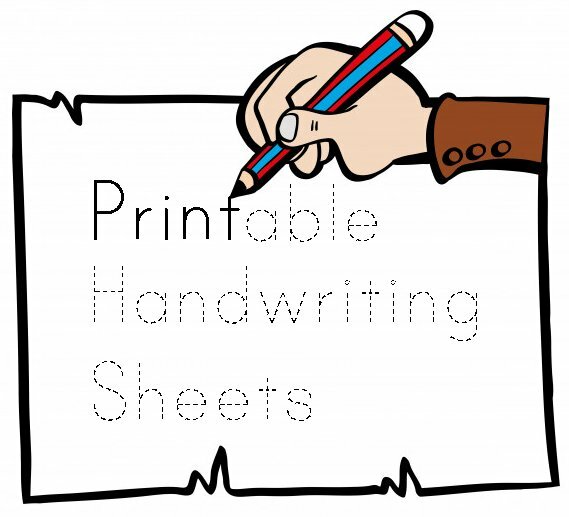 Print out these handwriting sheets for an easy way to improve your child's writing skills. 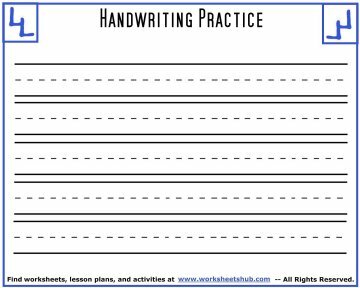 You can also use the handwriting lessons that I've prepared (see links below) for students. They focus on individual letters, both cursive and printed, and have short activities that reinforce the letter sound. If your child needs help with specific letters, you can print out these sheets to focus on those letters, word spacing, punctuation, or whatever else your child might need. Below you will find six basic templates that you can use to print out and practice individual letters, sentences, or any other writing activity. Templates are available in both portrait and landscape formats. Just click on the images below to open up your practice sheets in another tab. From there you can print or save the file to your computer for later use. Portrait: There are three types of sheets you can print out. Each one can be used for multiple activities, but they each have their strong points. The portrait format (tall) is great for practicing individual letters. You can focus on up to seven different letters at a time. I've created two different types of this format. 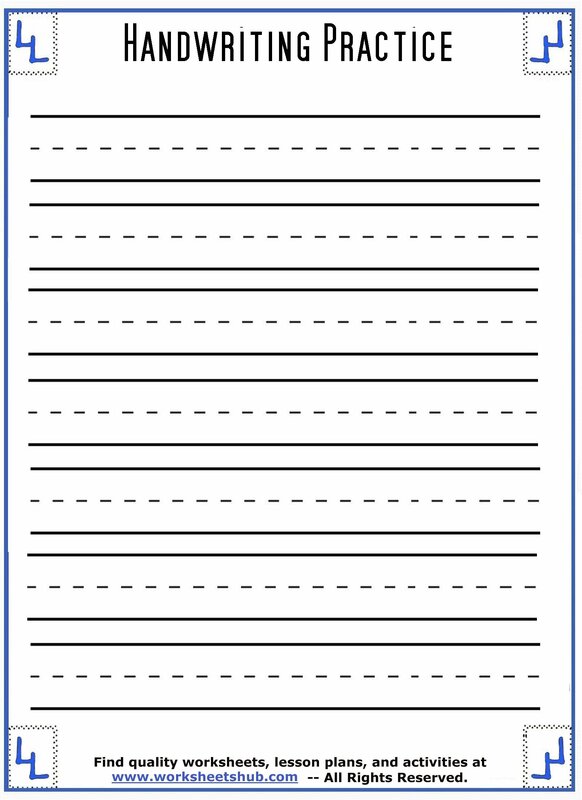 The first one uses black and white lines that are commonly used in classroom writing to learn letters. Recently, some schools have been moving away from the black-lined handwriting sheets and towards red and blue-lined formats. 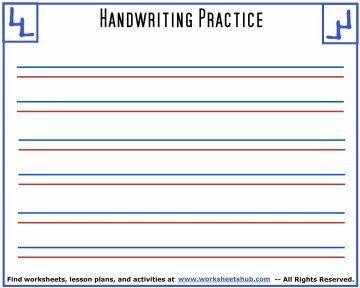 This helps those students that have visual problems to more easily separate the lines, making for neater, more consistent writing. The third template only uses two lines instead of the normal three. My wife has used this kind of paper in much of the handwriting therapy she does with children. 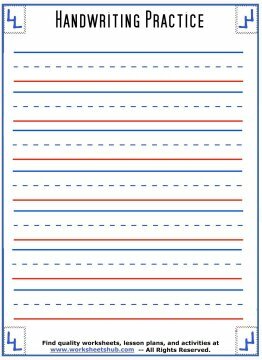 The two lines focus on the middle space of writing which is easy to neglect in three-lined paper. The two lines ensures that children are making their letters consistently inside the 'middle space' where a majority of letters are written. Again, I made a red and blue version so that it would be easier to tell the lines apart. Landscape: This orientation is better suited for composition. 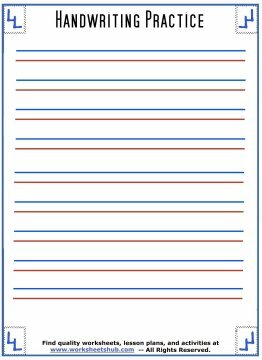 There are less lines to write on, but they are longer which makes it perfect for practicing sentence structure, writing book reports, or learning how to write personal letters. All three formats found in portrait are also available in landscape. Like I mentioned above, they can both be used for the same things, I just find that they work better in some situations than others. If you intend on doing a lot of work on writing, especially in a classroom or homeschool environment, you might want to consider purchasing writing paper in bulk rather than burning through your printer's ink cartridges. You can find good deals on handwriting sheets at DiscountSchoolSupply. For more lessons on handwriting, check out the pages below.